Sephora has recently opened up their subscriptions to more than just the waitlist which is fantastic! For those who may not have already signed up or weren't able to snag one of the coveted spots, I have a small solution! This giveaway is for US residents including Alaska and Hawaii. 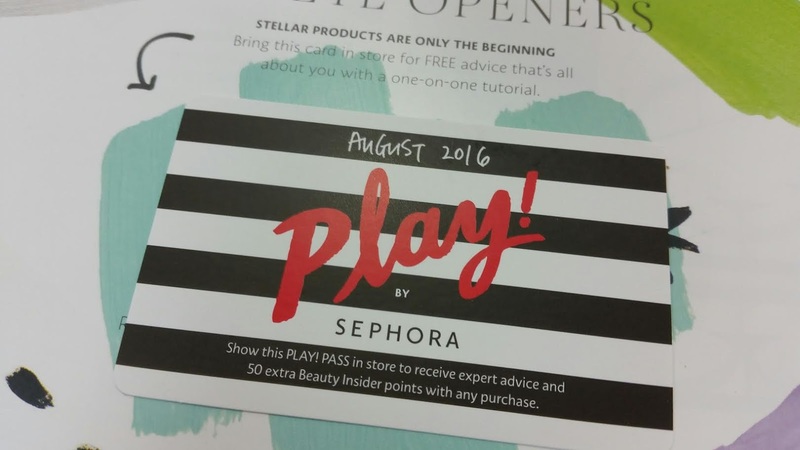 You will receive one August 2016 Sephora Play! box from me in the mail. Yay! I'll be reviewing below what came in my particular box but if there are variations, you may receive something different than what I did. So there still may be some element of surprise. Play! 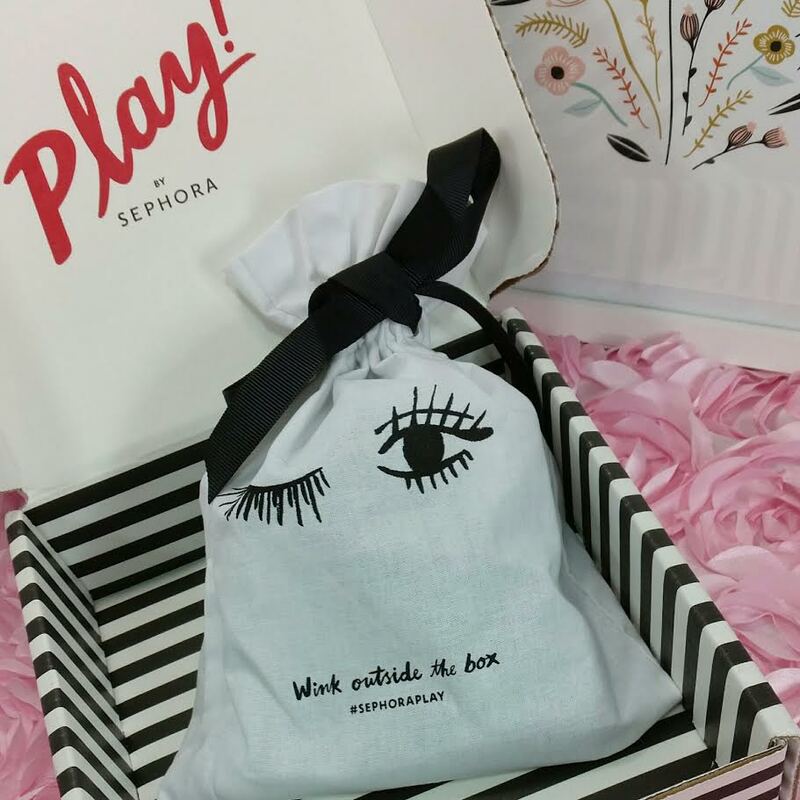 by Sephora launched to a small market late last year and has been adding (slowly) new subscribers from those who signed up on their waitlist. They recently opened up for new interest but I'm not sure how long that will last. Ipsy seems to work on the same premise. Inside every box is a pouch with your products in it along with a fold out information pamphlet. Every cotton pouch has been different so far so you can get quite a collection. 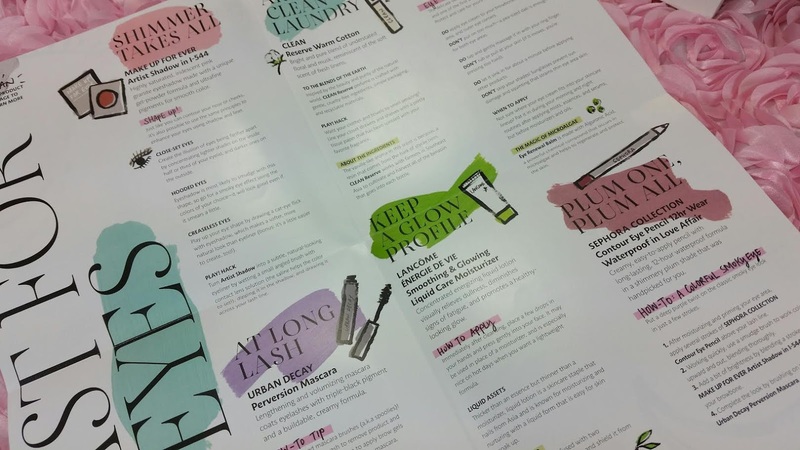 The information included will give you details about the product itself and tips on how to use it. Urban Decay Perversion Mascara- I know a lot of people think "Ugh, more mascara" and I admit, I've thought the same thing. 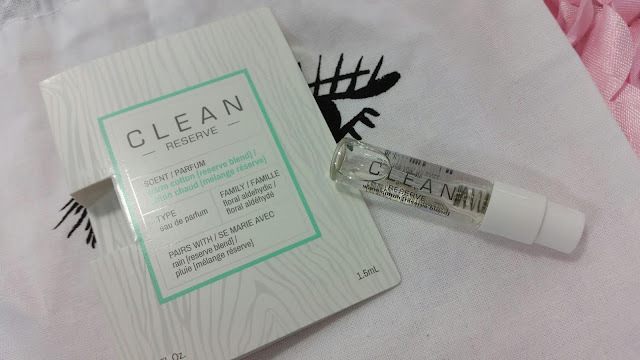 However, these deluxe size samples are magic for bringing with you anywhere AND not feeling bad when you have to toss it out. 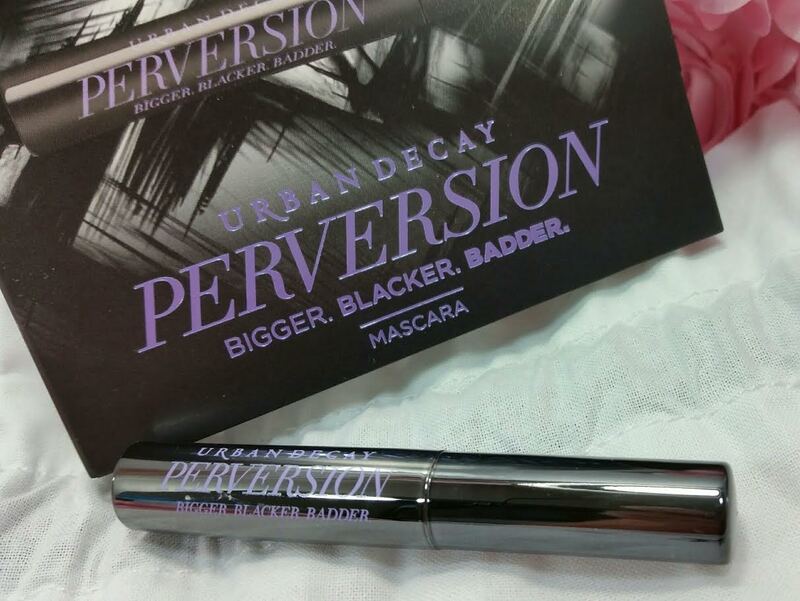 My mascara has been staying so fresh because I always have another (fifty) waiting in the wings to be used. I also hand them out like candy to my friends who love the fact that I get way too many subscription boxes. 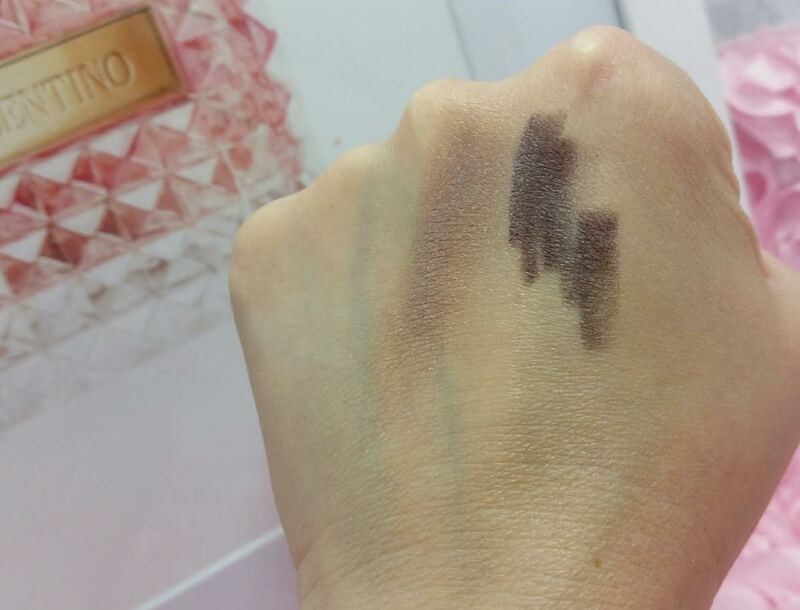 Make Up For Ever Artist Shadow in I-544- What a boring name for such a fun color!! 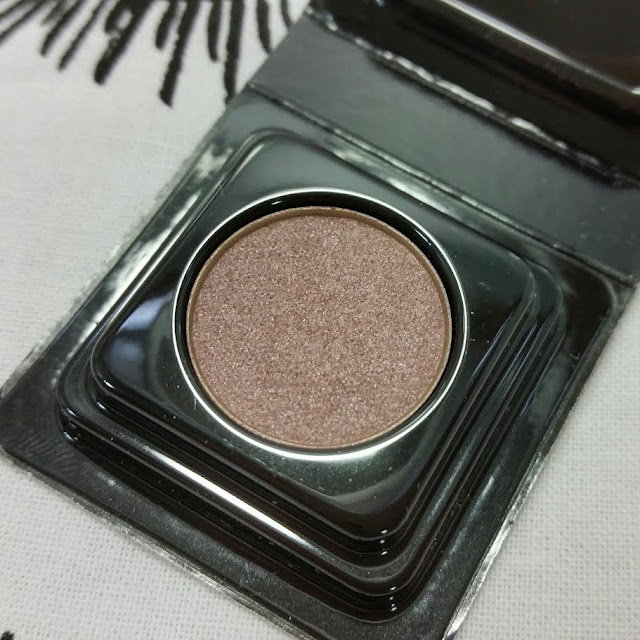 It's an iridescent pink eyeshadow made with a gel-powder formula. This is JUST my kind of color! Seriously thrilled to be trying this! The info page suggests using it wet as an eyeliner. I'm all over that. Clean Reserve Warm Cotton- Sephora always includes a fragrance which... eh. I dislike getting perfume in my boxes and they always have one. So there's always one thing I won't use. There may be a miracle where one shows up that I'll like but today is not that day. 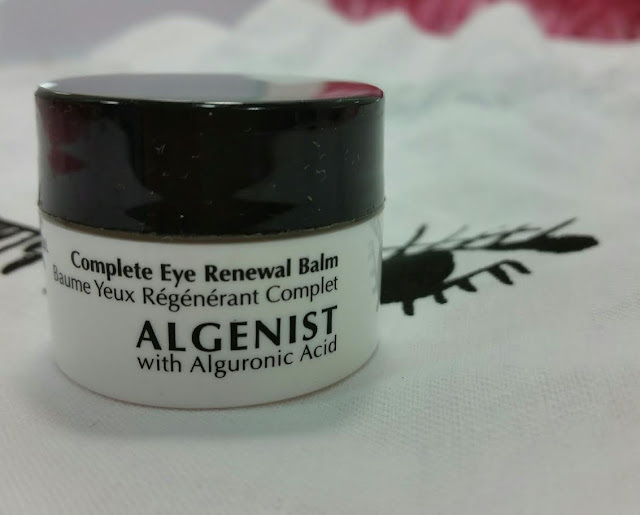 Algenist Eye Renewal Balm- I like this brand and this product is packed with peptides and antioxidants which I am glad to see. While there's no complete scientific studies (unbiased ones, anyway) that prove peptides and antioxidants work like we think they should, I'm all for having them in my skincare. Just in case! 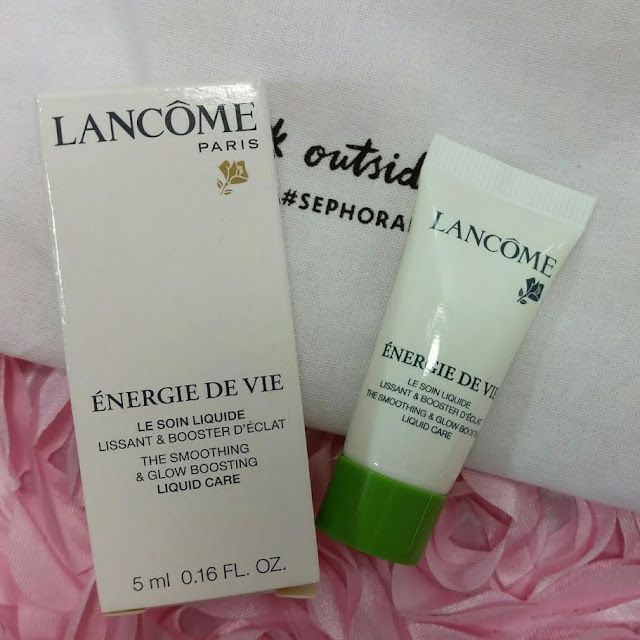 Lancome Energie de Vie Smoothing Glowing Liquid Care Moisturizer- The third ingredient in this moisturizer is alcohol. Alcohol is not a moisturizer. I've been avoiding products with alcohol in the top five for awhile now and my dry skin has been thanking me ever since. I'm disappointed Lancome uses it, especially in such an expensive product. Alcohol is cheap and corner cutting. Lancome should do better. 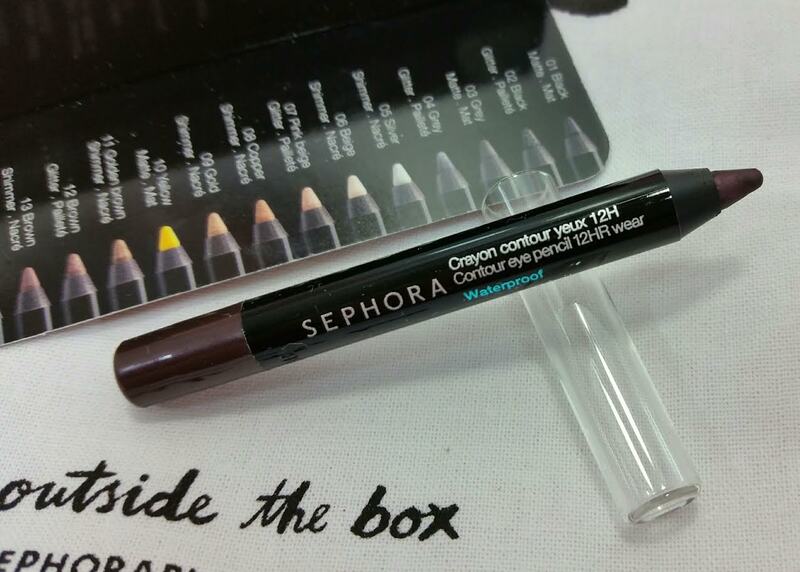 Sephora Collection Contour Eye Pencil 12hr Wear Waterproof in Love Affair- PLUM! This is a shimmerly plum liner and I couldn't be more happy to see it! The information pamphlet gives some instructions on how to use it to create a smoky eye and I'm going to try it. Fun, right?! So far I've really been enjoying these Sephora boxes. I really like getting trusted brands and in such great sizes. This giveaway is open to US residents including Alaska and Hawaii. Please enter responsibly. Duplicate entries will be disqualified. Void where prohibited. Giveaway starts 9AM August 22, 2016 and ends 11:59PM September 5, 2016. 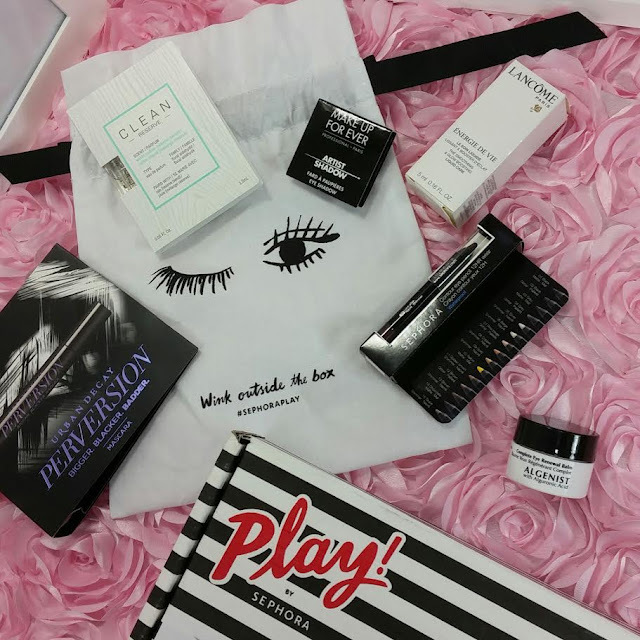 This giveaway is in no way related to or sponsored by Sephora. Prize fulfillment will be completed by Bits and Boxes. Not responsible for winning prizes that get lost in the mail (although I will be terribly sad if that happens). Rules subject to change in case I forgot anything. I mean I would be so privileged to get this. 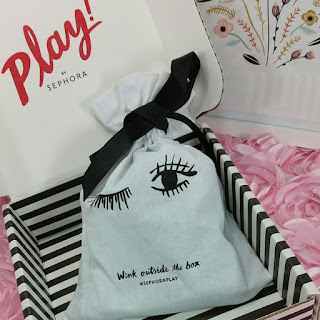 I haven't had the pleasure of trying that many Sephora products and would love to!